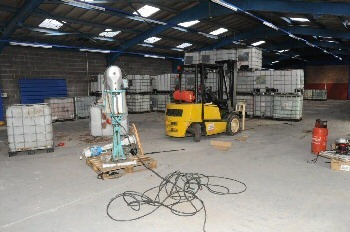 AN illegal alcohol factory, containing 130,000 litres of potentially toxic fake vodka, worth �1.7 million in unpaid duty, was uncovered in an industrial unit, in Widnes, on Friday, 31 July 2015. ► bottle tops for number 1 Imperial Vodka Blue. 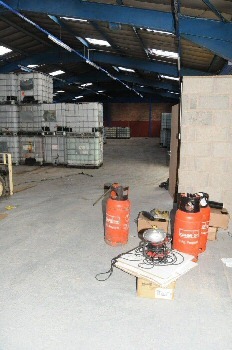 Sandra Smith, Assistant Director, Criminal Investigation, HMRC, said:- "As well as potentially risking the lives of people drinking the fake alcohol, this factory had the capacity to rob taxpayers of millions of pounds in unpaid duty; money which should be spent on vital public services. People buying the counterfeit vodka may have thought they were getting a bargain, but it has been distilled in unregulated conditions and may pose a serious health risk. We will continue to work in partnership with other law enforcement agencies such as the police and Trading Standards to tackle the issue of illicit alcohol in our communities and across the UK. I ask anyone with information about this dangerous illegal trade to call the Customs Hotline on 0800 59 5000 and help us stamp it out." 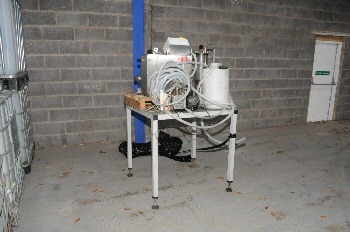 Cheshire Police Detective Chief Inspector Paul Beauchamp said:- "We carried out a warrant at a business premises under the misuse of drugs act and discovered this illegal operation on our doorstep. 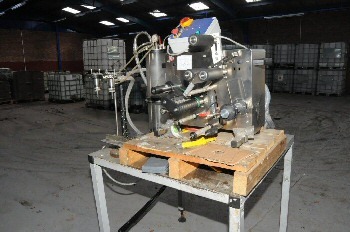 We are pleased that we have helped to take this dangerous counterfeit vodka off the streets and are continuing to work with our colleagues in HMRC and Trading Standards."